You can only learn so much from a textbook. 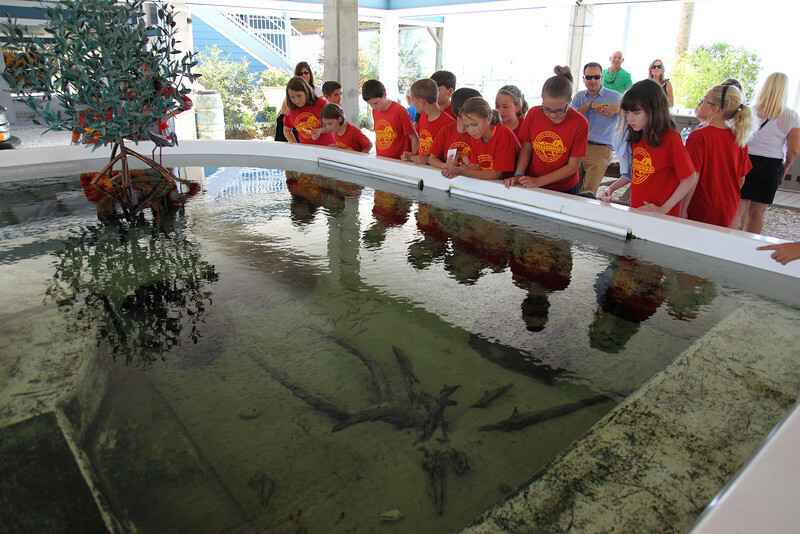 My daughter's recent school field trip to Tampa Bay Watch in Fort De Soto, Florida brought the classroom directly to the ocean. 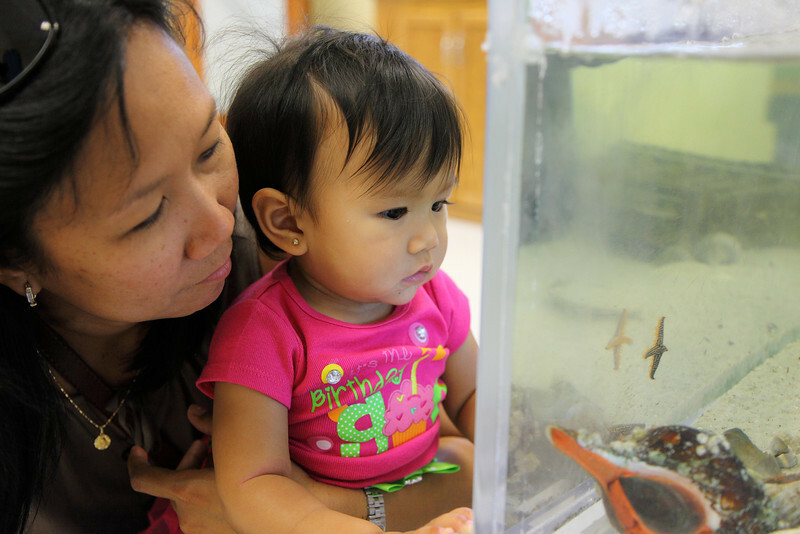 Number 2 pencils are replaced with life jackets and hands on experience with sea life from ocean to your lap. 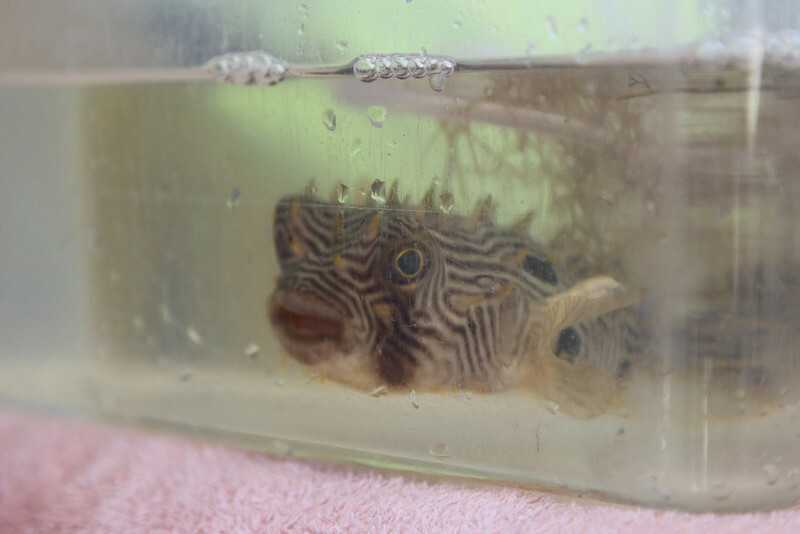 A ten minute boat ride to open water surfaces salt water creatures of all shapes and sizes. 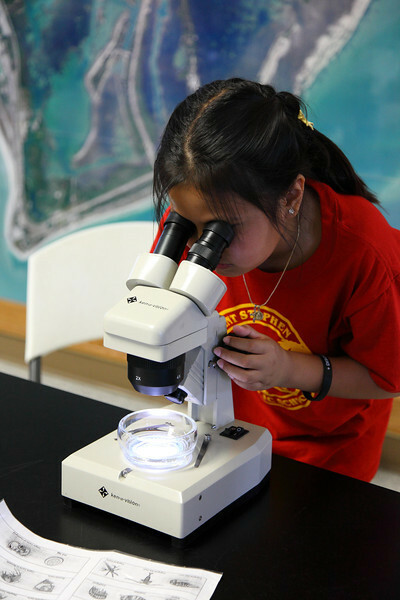 From slimy algae, to spiky puffer fish, to angelic starfish and adorable dwarf sea horses, the mystery of the deep is unlocked to sea legged students. I lied. There has to be some classroom time in a real building. 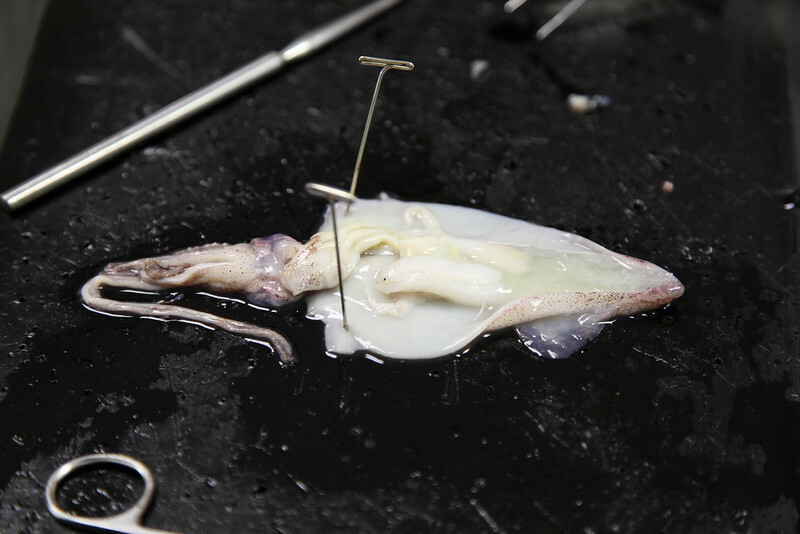 Microscopes are not conducive to a marine environment, especially when examining smaller than life plankton. Marine sciences were overwhelmed by the culinary arts for the moment. Scalpel and tweezers were replaced by flour and a touch of salt for deep fried calamari. You cannot learn new things on an empty stomach! 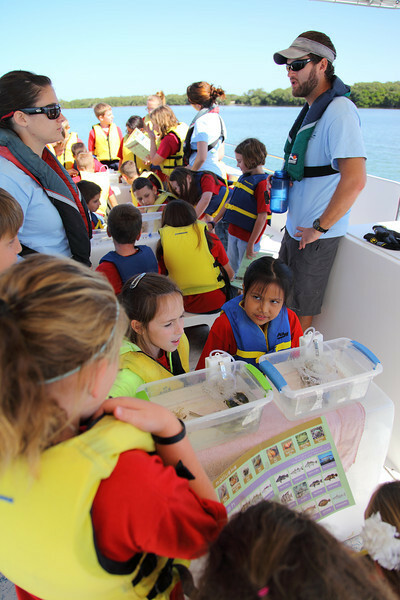 Tampa Bay Watch with their Estuary EDventures program educates through hands on experience environmental responsibility. Life, big and small, need love also. Who would not love my baby daughter with a dirty diaper? Tough love. You can view more in my Tampa Bay Watch Experience Gallery shot with the Canon 5D Mark II paired with the Canon EF 24-105mm f/4L IS lens. Loan by stacking a lower-end dryer on squarespace top of a nicer washer, as long as they're gehe zu jim­dofree.com from the exact same brand name as well as Washer & Dryer Sets the exact same size successfully as well as washer and dryer buying guide Gently we have actually additionally grown read more hesitant of the added attributes on some dryers. Happy 1st Birthday Serena !